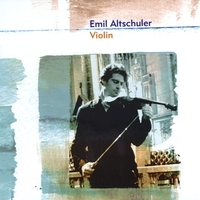 Emil’s first recording after the passing of his mentor, the late Erick Friedman includes popular virtuoso repertoire by Wieniawski, Vivaldi, Massenet, and an original arrangement of Paganini Caprice #20 with his brother on steel string guitar in a gypsy jazz style accompaniment. 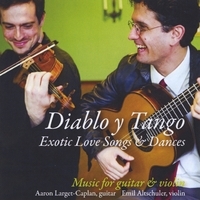 Exotic love songs & dances by Astor Piazzolla & Manuel de Falla arranged for guitar & violin. 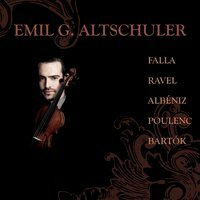 Emil teams up with guitarist Aaron Larget-Capan in three songs from ‘Siete Canciones Populares Españolas’ by Manuel De Falla that span an emotional range as varied as the Iberian landscape – from the fierce passions of the joys and pains of love (El Paño Moruno), the tender intimacy of a mother’s lullaby (Nana) to the seductions rhythms of loss (Jota). ‘Bordel 1900’ by Piazzaolla is a snap shot of the flirtatious and vivacious nightlife of Buenos Aires, Argentina at the turn of the last century. 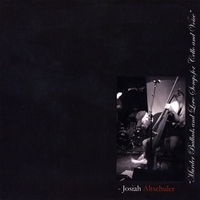 Murder Ballads and Love Songs for Cello and Voice – CD Baby’s “Editor’s Picks” raves of Josiah’s debut album “Americana vignettes so sharp they cut through bone and tissue to get to the heart of the music.” Emil accompanies his brother in hauntingly melodic and rhythmically driven covers of Cash, Marley, Primus, and blues in an unorthodox guitar-like style. Josiah is a web developer consultant based in Brookline, MA and has also served clients such as Apple, Dana-Farber Cancer Institute, Harvard University and MIT. 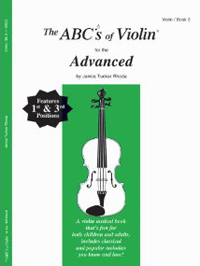 Carl Fischer republishes the third volume of Janice Tucker Rhoda’s ABCs of Violin method which addresses third position playing with melodies, warm-up exercises, study pieces, scales and arpeggios. 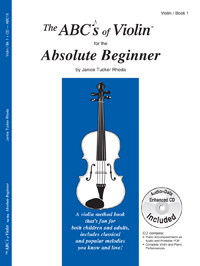 Carl Fischer republishes Janice Tucker Rhoda’s phenomenally successful series, The ABCs of Violin, owing much of its success to the wonderful original material and to the sensitive arrangements of classical, folk, fiddle and other popular melodies.